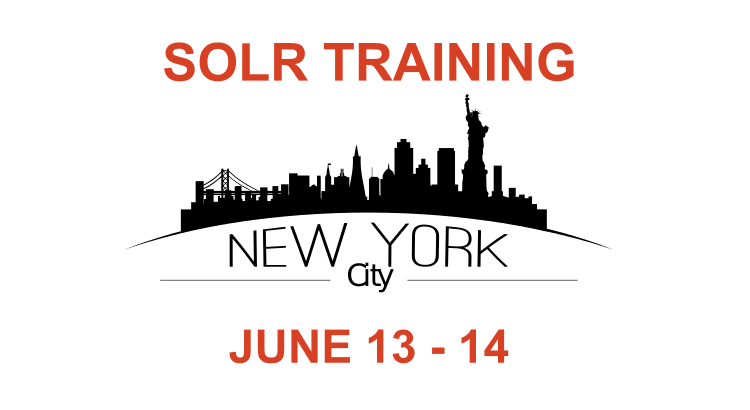 If you’ve missed our Core Solr training in October 2015 in New York, here is another chance – we’re running the 2-day Core Solr class again next month – June 13 & 14, 2016. This course covers Solr 5.x as well as Solr 6.x! You can see the complete course outline under Solr & Elasticsearch Training Overview . The course is very comprehensive — it includes over 20 chapters and lots of hands-on exercises. Be prepared to learn a lot! $1,200 early bird rate (valid through June 1) and $1,500 afterwards. There’s also a 50% discount for the purchase of a 2nd seat! If you have any questions please get in touch. To sign up, just register here.